Cologne/Paris, 22 January 2019 – On the occasion of today‘s anniversary of the Elysée Treaty, EuroCloud France and EuroCloud Deutschland_eco have announced a closer cooperation. The Elysée Treaty in 1963 laid the foundation for the friendship between France and Germany; to foster this friendship, the two cloud associations wish from now on to work more intensively together on solutions and positions for a digital single market in Europe. To achieve this, the two associations have agreed on regular consultations with the objective of further expanding the business relationships of their members. Cloud computing is a technology based on the idea of overcoming borders and enabling collaborative processes. Especially with a view to the possible impact of BREXIT, it is all the clearer that a continual, balanced, and objective dialog is necessary. Andreas Weiss, Director of EuroCloud Deutschland_eco goes on to say: “Close coordination between the two associations will have a positive influence on the continued shaping of the European digital single market. Cloud computing and the associated questions regarding security, data protection, and also digital self-determination are important aspects.” Weiss also believes that it is important now to more clearly specify and communicate these thoughts with a view to the forthcoming EU election. Further cloud and hosting provider associations, including representatives from the UK, should be included in these discussions. 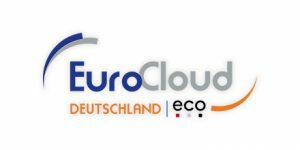 EuroCloud Deutschland (www.eurocloud.de) is the Association of the German Cloud-Computing Industry, and represents its members in the pan-European network EuroCloud. EuroCloud Deutschland advocates for the acceptance and needs-oriented provision of cloud services in the German market. The association is in continual dialog with its European partners from the EuroCloud network, in order to find global solutions and to prepare the way for international business relationships. EuroCloud Deutschland was founded in December 2009 and is affiliated with eco – Association of the Internet Industry.